Freedom Chair riders aren't just our customers - they're part of the GRIT family. Today's Rider Spotlight features BonnieKate Zoghbi. Read on to learn about her adventures! "GET IT! It's so life changing and so worth it!" BonnieKate was shot in her left knee with a high powered assault rifle in the "Batman Theater Shooting" in Aurora, Colorado in July of 2012 during the midnight premiere of the film. The injury left her with debilitating chronic pain in her left knee/leg. While normally she uses a crutch to get around, BonnieKate says, "[The pain] prevents me from walking much further than one would to get groceries or running simple errands; even those things are extremely hard for me." Why did BonnieKate decide on the Freedom Chair? BonnieKate's husband, Max, is an incredible filmmaker and photographer. 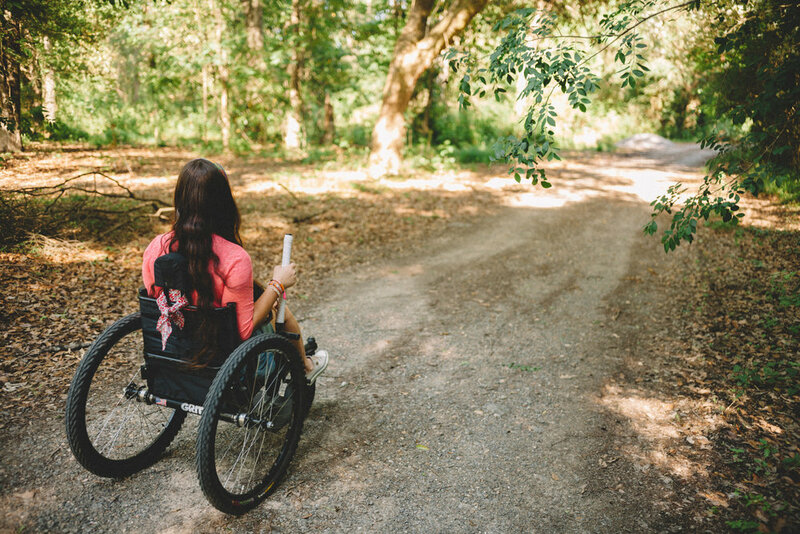 He did some searching to help find her a wheelchair that would be good for the outdoors and allow her to be more active. After much deliberation, they decided that the GRIT Freedom Chair would be the best fit for their lifestyle. "We knew it was right for us because of the incredible design and independence it would allow me to have, plus it's ability to be quickly assemble and disassembled and packed flat." What activities does BonnieKate enjoy doing in the Freedom Chair? 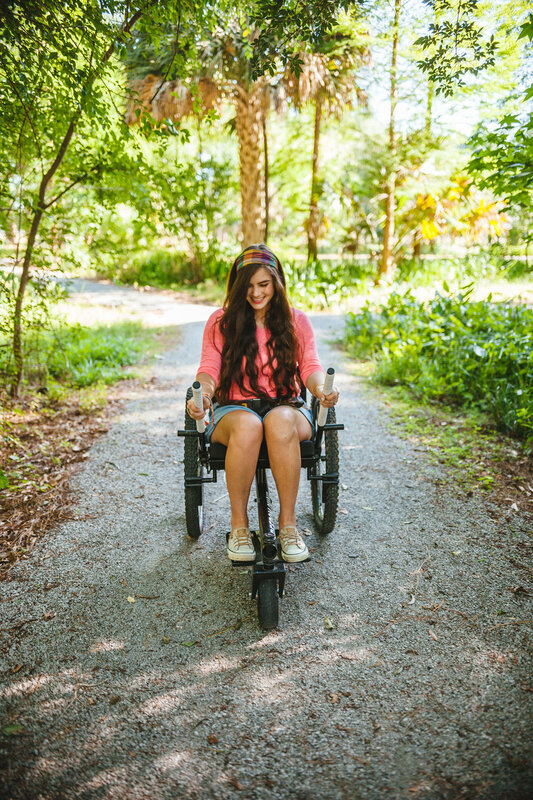 Her favorite activity to do with the Freedom Chair is hiking and going on off road trails. "I also use it to get around the neighborhood, or just stroll around the park with my husband." What is BonnieKate's favorite thing about the Freedom Chair?